Parse this image. I want you to look at it a very long time, study it, examine it in the minutest detail, and then think very hard about what you’ve done. I’ve become weary of stepping into the sf community at large, since the whole place is so volatile even the slightest stumble can set off a spark leading to mass conflagration. 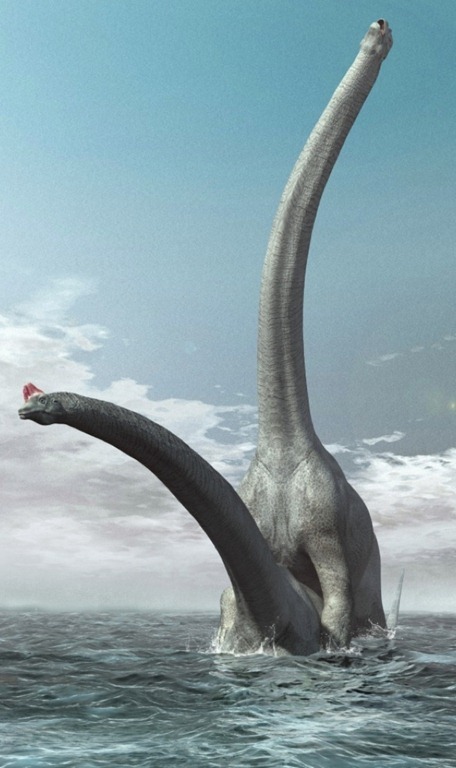 The fantasy vs. science fiction debate is bad enough (just…why? ), and while watching various authors bump heads is fun for a while I ultimately just end up feeling sad and more than a little conflicted about what the heck I’m doing with an sf blog when the community as a whole is, sometimes, downright insane. However, I’ve been reading Cormac McCarthy’s The Road. It is, unsurprisingly, a great novel (I never thought I would say that about any book featured in Oprah’s book club): McCarthy’s prose style is simply wonderful even if the content is extraordinarily bleak. However, thoughts drift from an America crawling with cannibal conquerors to the sf community-at-large and its hugely negative reaction to outsiders stepping into its territory. Outsiders like Cormac McCarthy, daring to write some post-apocalyptic goodness and winning a Pulitzer for his efforts, even though he never wrote no science fiction before. Whenever a “literary” writer starts up on a science fiction or fantasy project, expect a vehement outcry from authors and readers alike in some corner of the internet. One author sits atop the Canadian science fiction scene, with Hugo and Nebula and all sorts of other awards stacked under him in some monstrous pyramid: Robert J. Sawyer. He’s written twenty-some novels and is probably the biggest name in “traditional” science fiction out there, but whatever accomplishments go to his credit, I will always remember him for one book that, to engage in some slight hyperbole, nearly ruined my childhood. Even Gary Jennings, with his historical/pornographic (in equal parts) fiction like Aztec and Raptor didn’t manage to traumatize my elementary school mind in quite the same manner Sawyer did. Now, the beginnings of all this are fairly innocuous. 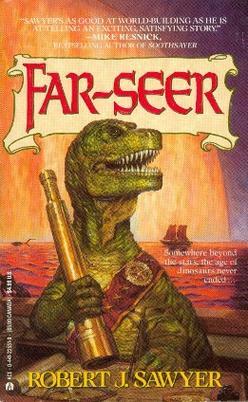 I saw this book on the shelf at the public library and had the immediate reaction of “a dinosaur with a spyglass? How can this not be awesome?”.